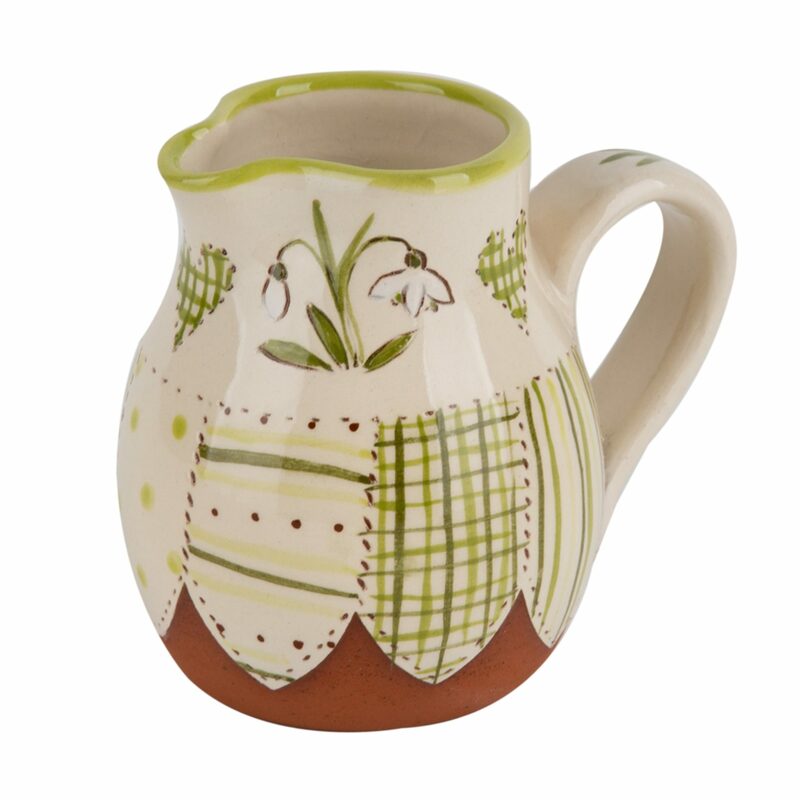 Patchwork style jug with floral Snowdrop design. 3″ high. Suitable for liquids. Can be ordered with matching tiny bowl for sugar.